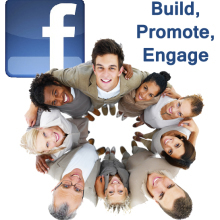 Events are great opportunities for small businesses to promote brand advocacy and increase employee morale. 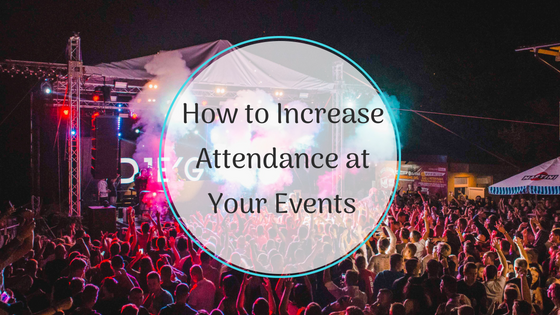 Whether your event planning duties focus on an intimate event attended by colleagues or a big blow out for the whole company, there are certain strategies you need to focus on to increase attendance at your next company event. 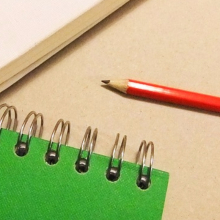 Planning events comes down to asking the right questions and making knowledgeable decisions. Making the right choices when selecting an audience based on the purpose of the event and the location of an event will have a significant impact on its success. The six event planning tips below will help you plan a successful company event. The first entry on your event planning checklist needs to focus on the audience you are targeting for the event. By knowing the right type of crowd to invite to your event, you can concentrate on ways that increase attendance. Knowing your audience helps your event be more engaging and memorable because you can ensure that the elements and activities associated with the event are appropriate. Identifying the purpose of your event also helps you identify the correct audience to target for the event. By clearly understanding what you are trying to accomplish reduces the risk of low attendance. For example, if your event purpose is to increase brand awareness, create an event app that creates an emotional connection to your brand by increasing engagement, asking questions, shows your logo and provides an up-to-date event itinerary. If you want butts in seats at your company event, you take the event’s location into consideration. Location is an important component in event planning because certain types of locations attract a certain kind of crowd. So it’s important to figure out if your target audience is likely to go to that location, if the place is easily accessible, and if there are options when it comes to transportation. Every party planner knows that large events work better with partnerships and sponsorship. If your event is a large-scale function that requires a large audience, ask yourself if your customer base is large enough to attract the required number of attendees. In most cases, small businesses do not have enough numbers in a particular area for large scale events. So by partnering with associated businesses or getting sponsorship from appropriate brands can reduce costs while increasing your pool of attendees. This is also a great way to target like minded individuals to engage with. It’s a great opportunity to attract new customers and increase your reach. Before you send out your invitations, take the numbers into consideration. If it’s a free event, it’s a good idea to send 40 percent more invitations. If it’s a paid event, your signup will be lower, but the percentage that shows up will be higher. Where you and your target audience are located can also influence how many people attend. For example, in big cities you’ll experience more competition for the time and attention of the target audience. So be aware of these variables when you send the invitations out. Once you get the ball rolling, create a hashtag for your event and a social media page. It’s a great way to connect with your audience during and after the event. Pay attention to their feedback (make changes, if necessary), start a dialog, and build community around the event. Initiating and maintaining contact with your audience is a great way to build brand value and foster band advocacy. Further, nurturing this engagement can ensure that your next event will increase attendance and be successful. Even if your company is small without a large workforce, this won’t be a mammoth task to take on if all the steps are followed correctly. By having a few dedicated individuals working on the event, you are already on your way to working towards a successful company event. Which of these 6 strategies shared do you need to focus on the most? Important: share your thoughts and ideas directly in the comments. Links to other posts, videos, etc. are deleted because they come across as spammy. Enormous thanks for sharing your voice! I’m glad you touched on location in this post. I’ve worked as an event planner in a small freelance capacity for the last few years, and I’ve noticed a disturbing (and, frankly, pretty funny) trend in local businesses trying to plan events where they aim more for some kind of prestige or “fancyness” than they do convenience. Like…sure, you could probably somehow justify renting part of Cobo Hall in Detroit for your event (something that was actually suggested to me) but is your staff going to want to have to drive out there? Are your GUESTS going to want to drive out there? It’s a bummer how few people actually factor in things like that, at least before they run the idea by me. 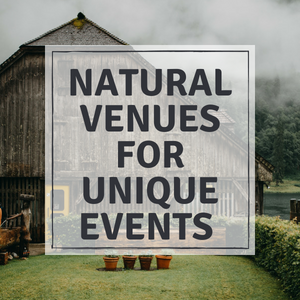 As an event planner, it’s your job to help clients align their venue choice with the event objective and attendees needs. Or, find alternative (and creative) ways to get the guests to the venue if it’s out of the way. There’s nothing wrong with planning events in upscale locations because they often make for interesting and talk-worthy events, and, for many event planners and clients, PR is just as important as the event itself!